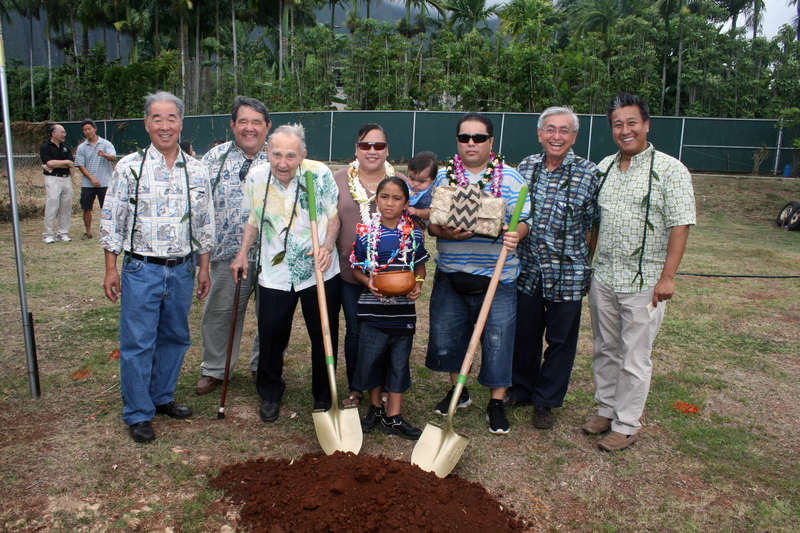 WAIMĀNALO – Kīnohi and Rusty Santos were joined by their extended ʻohana yesterday to break ground for construction on their new home in the Hawaiian homestead community of Kumuhau in Waimānalo, Oʻahu. 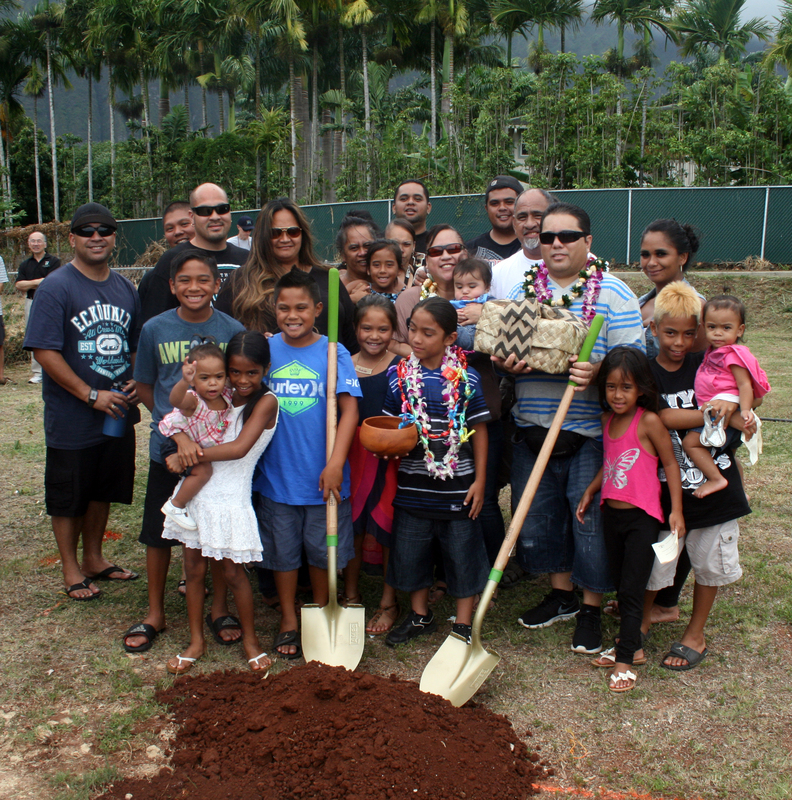 “I’ve never forgot to thank my grandmother Lilian Kelly who gave me this gift, and we honor her too with this home,” said Kīnohi Santos of her grandmother who applied for a Hawaiian homes lot in Waimānalo when she was younger. 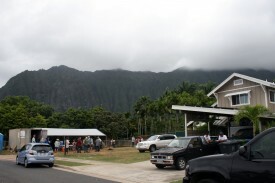 Once complete, the Santos ʻOhana will be moving into a five-bedroom, two-bathroom home, made possible through a unique collaboration among several partners, including Mustard Seed Miracle, the Partners In Development Foundation (PIDF), and the U.S. Department of Agriculture’s Rural Development agency (USDA-RD). 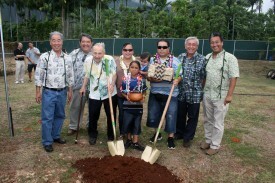 “This really is just a small mustard seed and we hope it will grow into a big tree that will help a lot of families,” said Peter Kang of MSM, a new independent non-profit organization founded by people from the First Presbyterian Church committed to building homes for Hawaii families in need. “If you have the faith of a mustard seed, you can move a mountain,” said Art Hansen, architect and founder of MSM. “We need to have passion for our community. We need to have passion for our families, families like the Santos,” said Jan Dill, President & Founder of PIDF. Kīnohi and Rusty took part in PIDFʻs Nā Pono No Nā ʻOhana program at Blanche Pope Elementary School in Waimānalo. The comprehensive family education program integrates native Hawaiian cultural values to improve social, economic, and educational opportunities for families. 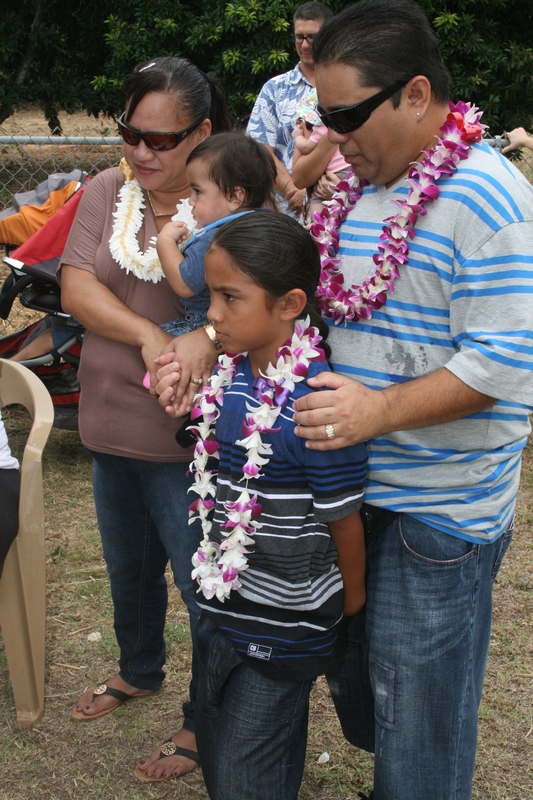 PIDFʻs work with the Santosʻ helped them prepare to qualify for financing on their new home. The Santosʻ will be paying $600 a month for mortgage, compared to $900 in rent per month on a two-bedroom home in Waipahu. They were able to secure financing through the U.S. Department of Agriculture’s Rural Development Agency. The DHHL was then able to match the funds with money it receives under the Native American Housing Assistance and Self-Determination Act (NAHASDA).